Hafa Adai! Let's get cooking, Guam style! All kidding aside, you can add this recipe to you list of healthy options by changing up a few of the ingredients (read more below for my healthy substitutions). 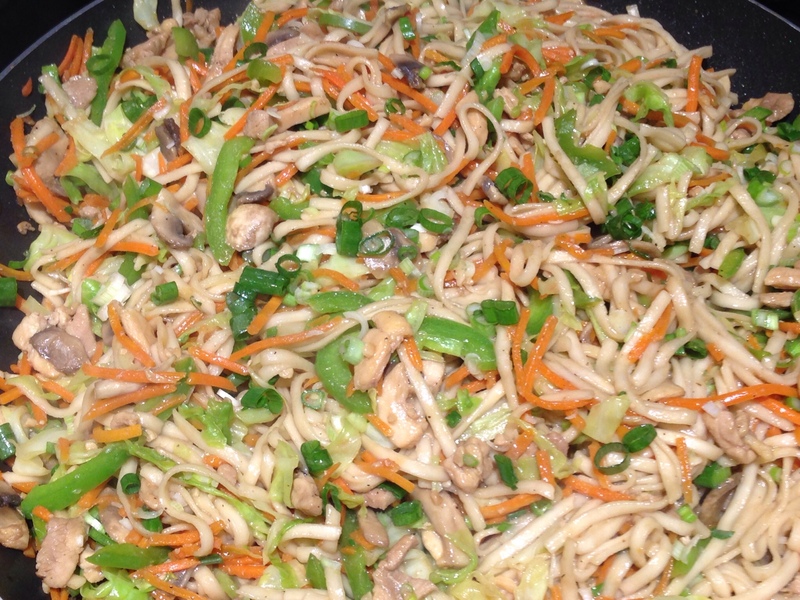 This also is another of those versatile dishes that can be changed up according to the vegetables and meat you prefer. 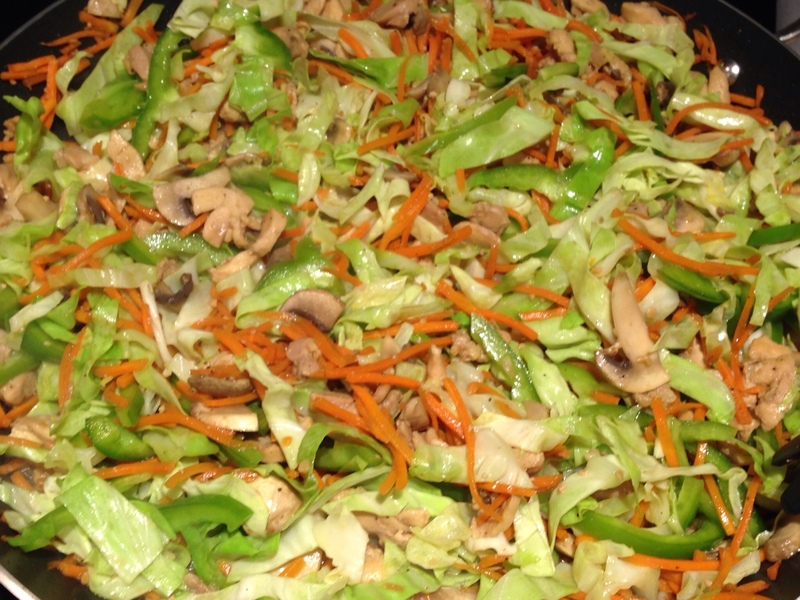 The vegetables I add to this recipe vary depending on what looks most fresh in the grocery store. 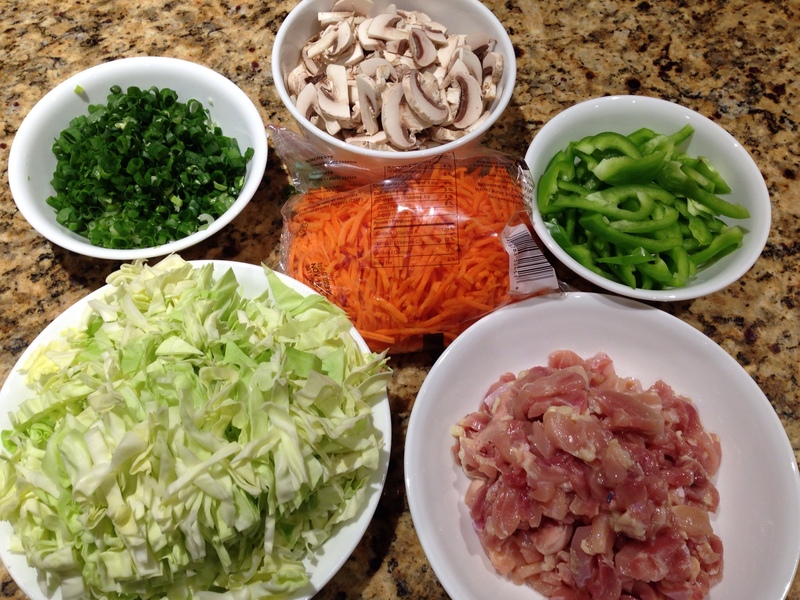 Prepare the ingredients — thinly slice the chicken, cabbage, green onions, mushrooms and bell pepper. Cook the noodles according to the directions on the package. 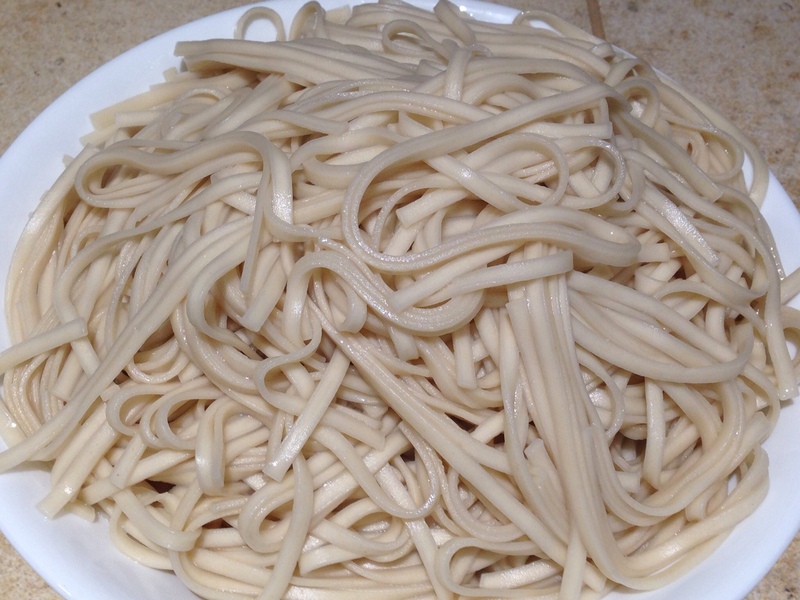 You can substitute the udon noodles for a gluten-free or whole wheat noodle of your choosing. 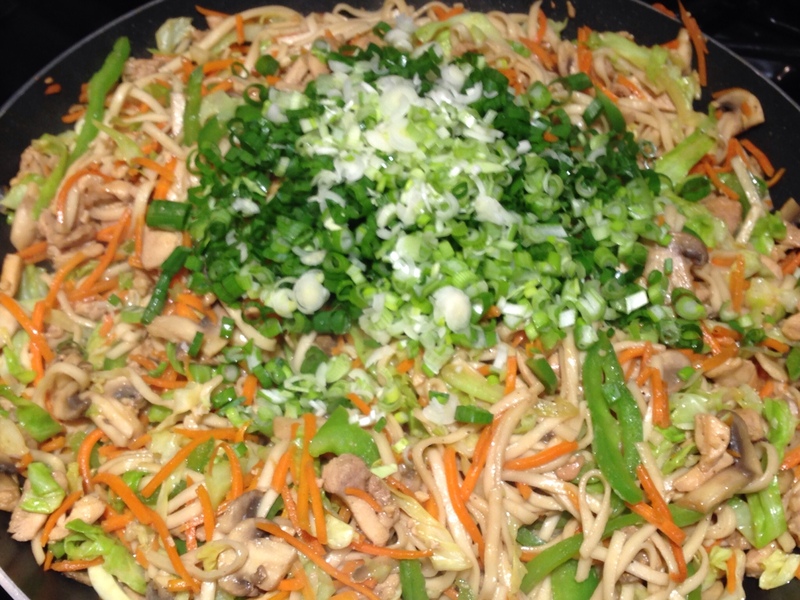 Set the cooked noodles aside. 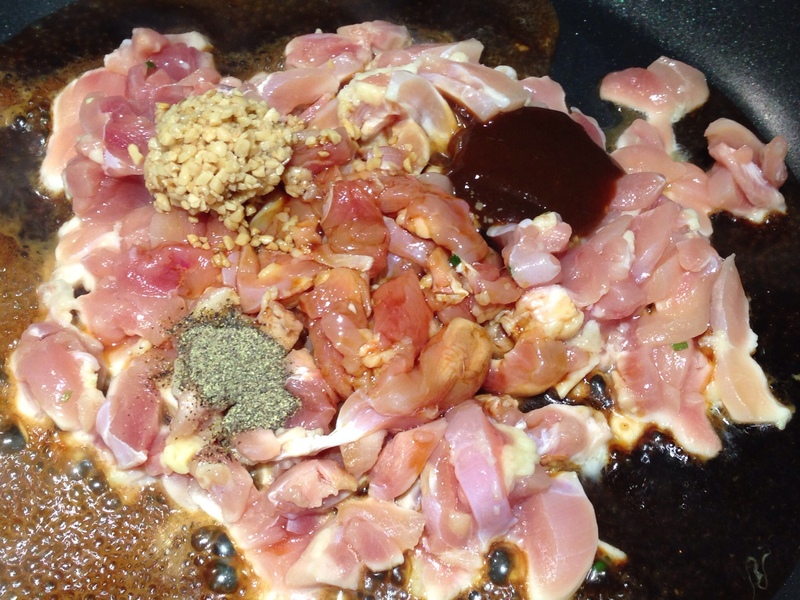 Place the chicken in a large skillet over medium high heat. If you use a non-stick skillet, you do not need to add any oil to the pan, although a bit of sesame oil will add flavor to this dish. 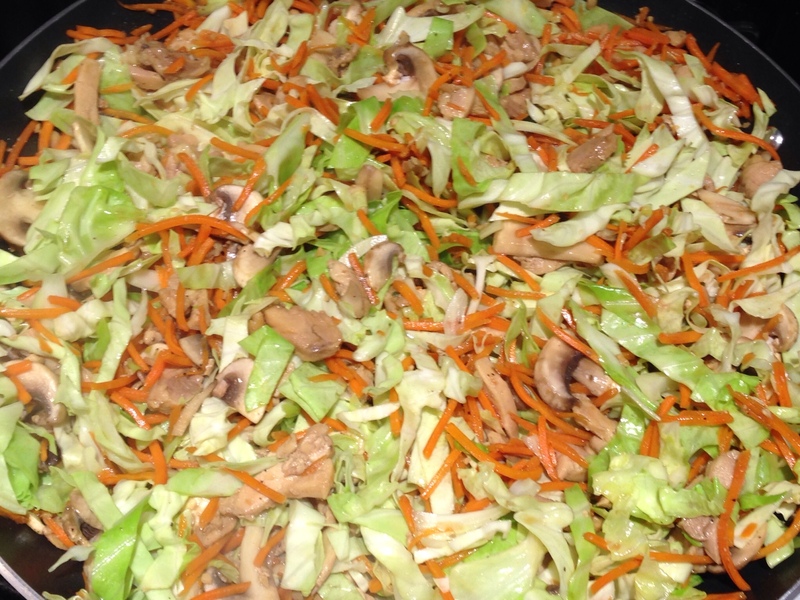 Add the garlic, seasonings, hoisin sauce and soy sauce. 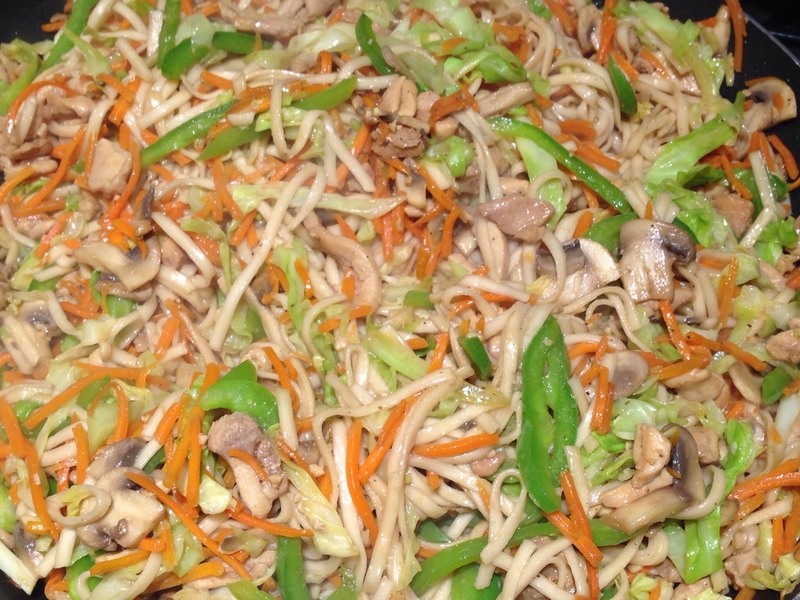 To cut back on the sodium in this dish, cut the hoisin sauce in half and use low sodium soy sauce. 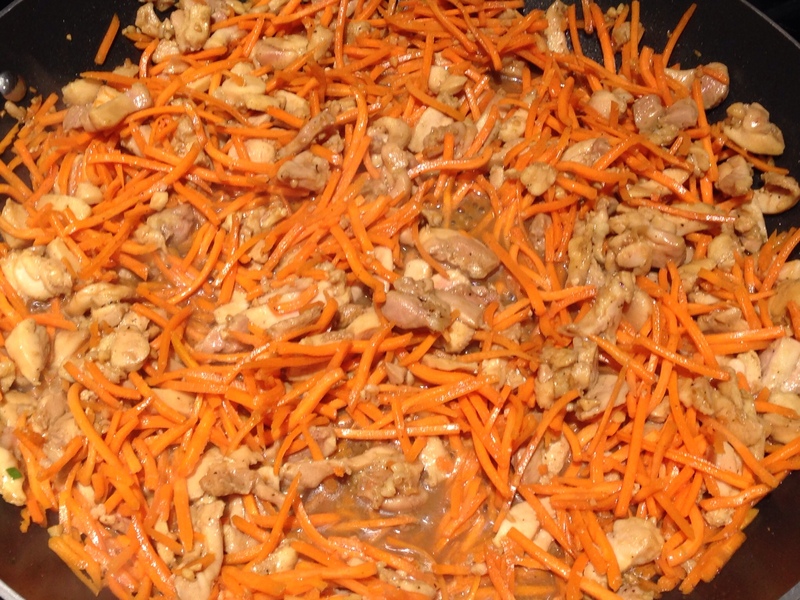 Add the carrots to the pan. 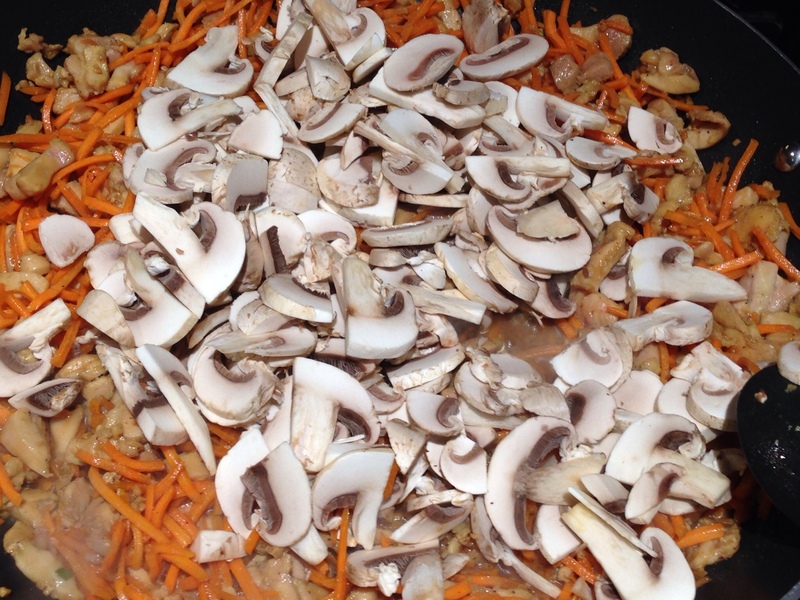 Add the sliced mushrooms to the pan. Stir to combine. Cook for a couple of minutes. 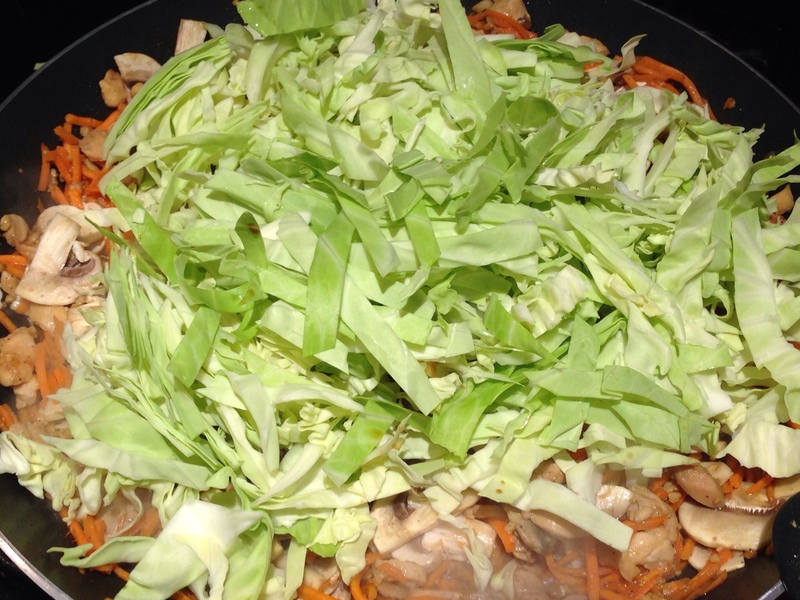 Stir and cook for another couple of minutes, just until the cabbage starts to wilt. 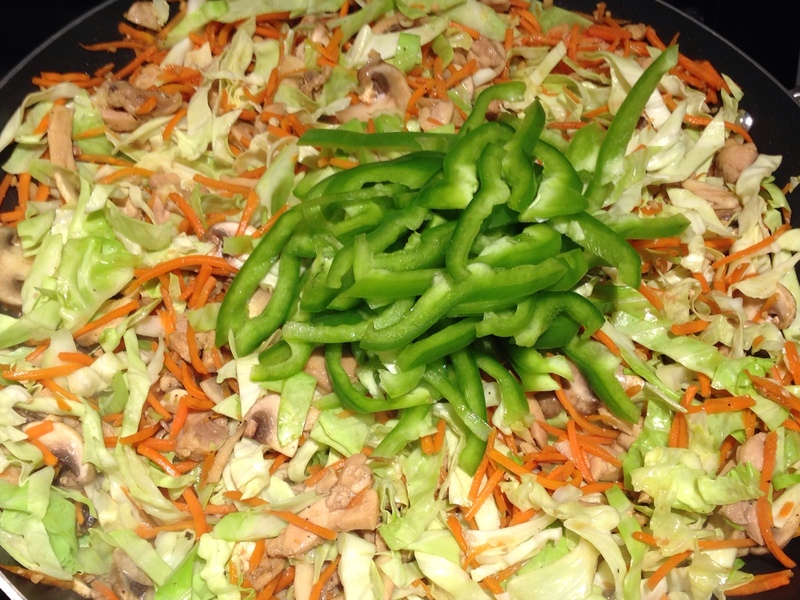 Add the bell peppers. 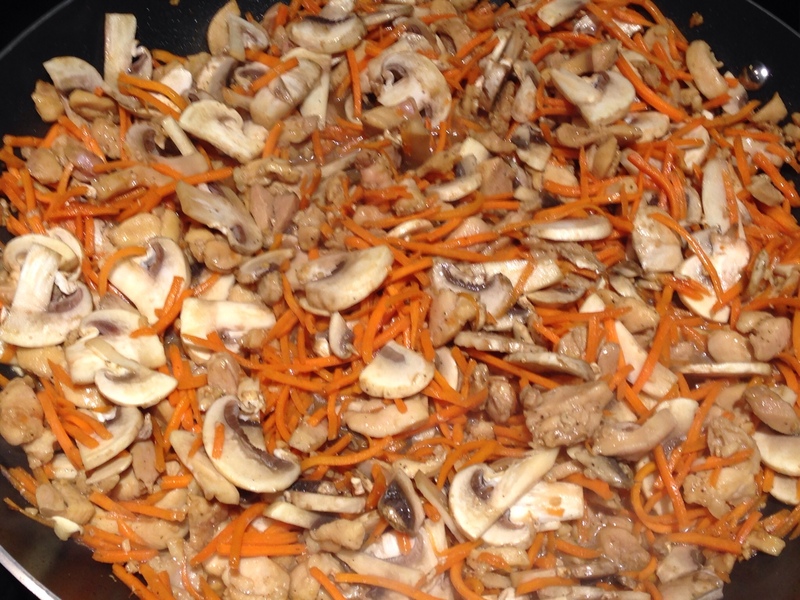 If you prefer the peppers to be cooked longer, add them when you add the carrots. I like mine cooked only just a little so that they’re still crunchy, so I add them almost at the end of the cooking process. 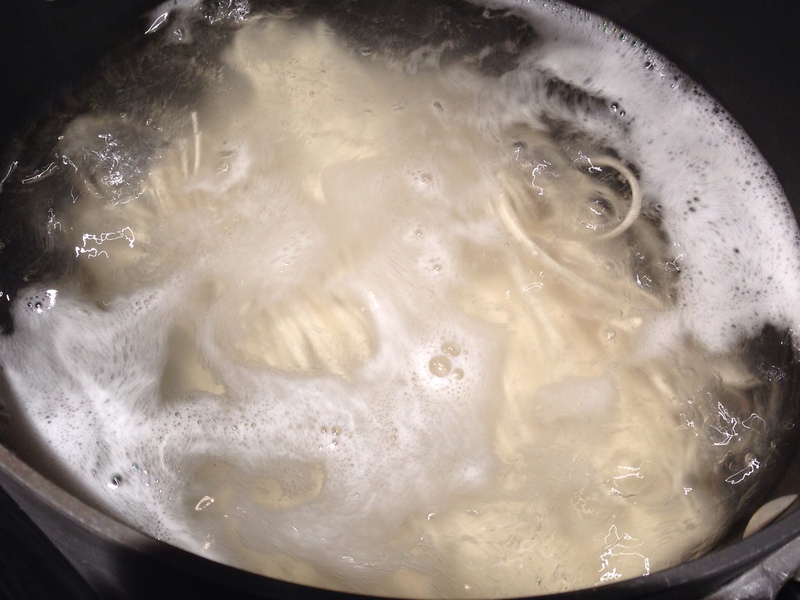 Gently stir in the noodles. Stir gently so you don’t mash the noodles. Cook for another minute then serve and ENJOY! This marinade will have all your neighbors coming out of their homes wondering what’s grilling that smells so good!